As companies undergo digital transformation, they connect people, things and businesses together. People are connecting to other people, things and businesses while they are on the go – which may be when they are away from their desks or fully offline. Application developers face intense pressure to capitalize on the latest mobile technologies to ensure their users are as productive as possible on their mobile devices. That’s a pretty steep backlog of apps to think about — it certainly creates a huge dilemma! SAP Cloud Platform mobile services provides the solution with a new low code component called mobile development kit. The application development tool is a plug in to SAP Web IDE that enables developers and technical business users to build enterprise-ready mobile apps very quickly and efficiently. In general, rapid mobile application development tools help companies successfully overcome the “mobile app backlog” by minimizing coding and boosting collaboration between IT and business users. 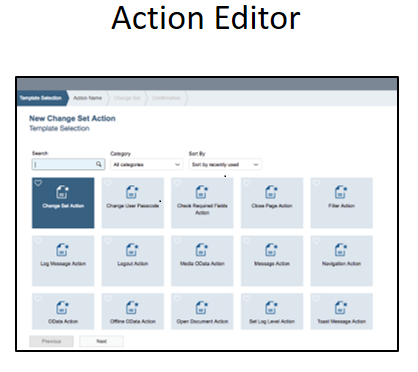 In May 2017, we first released this tool, known as SAP Enterprise App Modeler, to customize select SAP applications, such as SAP Asset Manager. This provided you with the ability to easily tailor specific apps to meet unique business needs. We have just released a new version that allows you to build new extensible native mobile applications. Now, we are excited to be releasing a new version in October. This new version of allows you to build new native mobile applications without writing code. So, what are some of the cool features in the tool? The tool includes a plug-in for Web IDE that adds additional wizards, drag and drop UI elements, app templates and codeless building blocks are used to create mobile applications. Create new screens for your mobile application without writing code or editing IDE files. 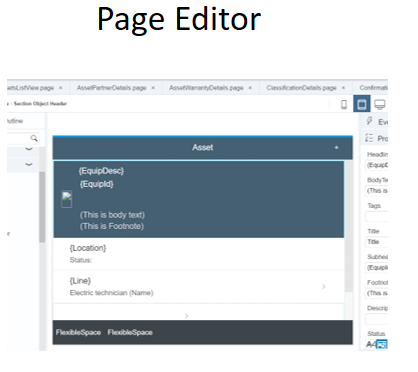 The Page Editor leverages Web IDE’s layout editor and works with the App Modeler Object browser to map screen elements to back end data, actions, or business logic rules. 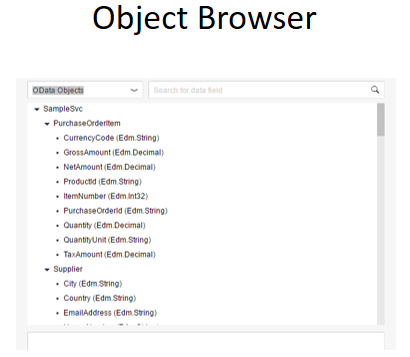 The Object Browser enables you to quickly locate objects, actions, business logic, etc. and map them to your mobile screens and other business logic. 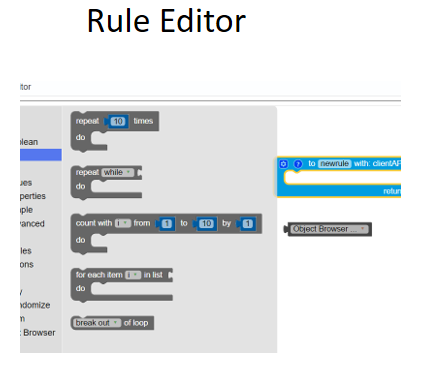 The Rule Editor leverages Google Blockly – a puzzle piece paradigm to build application business logic. The mobile client runs complex business logic and displays native controls to end-users. 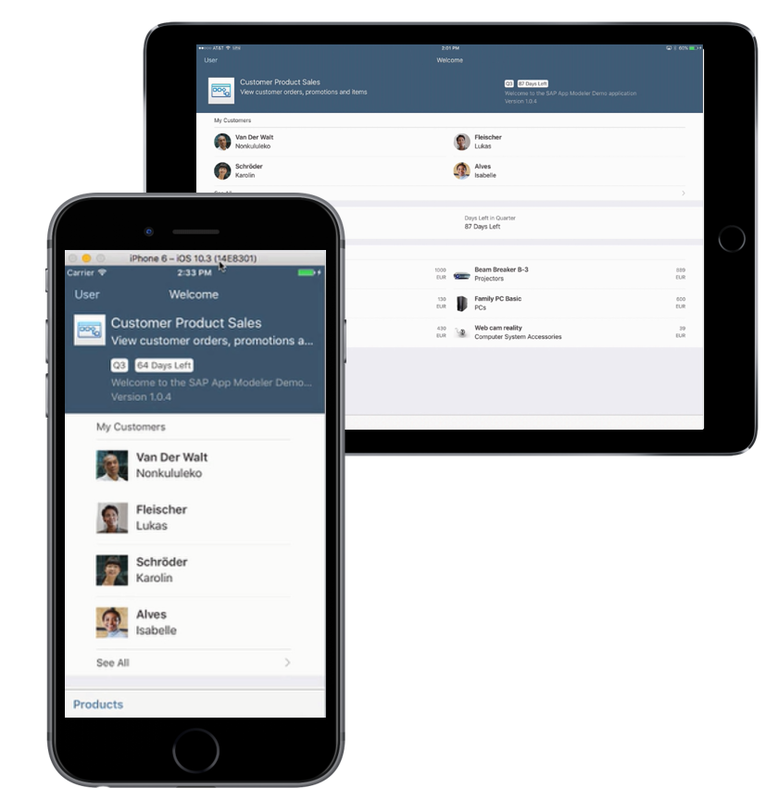 It allows you to run applications online or offline and displays latest the Fiori look and feel for iOS. Extensibility allows the mobile client to leverage new controls without re-installing or updating. You can create your own custom client with customized branding. SAP Enterprise App Modeler client is currently available for iOS. SAP Enterprise App Modeler is a component of SAP Cloud Platform Mobile Service for development and operations. Developers and/or administrators can easily deploy the updated application to SAP Cloud Platform App Update mobile service with a few clicks. The mobile client communicates with the App Update service to retrieve updated App Modeler metadata definitions then updates the mobile app without the end-user needing to take any action. All in all, you get the best of both worlds – fast, easy enterprise app development, plus full-featured, amazing apps that will make users happy. If there’s anything I know for sure, it’s that the speed of business will continues to increase. Big Data, Cloud, and Mobile all make a profound impact on how we execute to achieve Digital Transformation. The demand for simple apps can’t be met by “legacy” development processes. We are excited to be providing new ways to easily develop and customize apps at the speed of business. I encourage you to meet me and the team of mobile experts at SAP TechEd. We have a great set of lectures, hands on sessions and networking opportunities to learn more. You can find the list of sessions for TechED 2017 – Las Vegas and register here. In addition to the event in Las Vegas, SAP Enterprise App Modeler will also be featured at SAP Teched events in Barcelona and Bangalore.